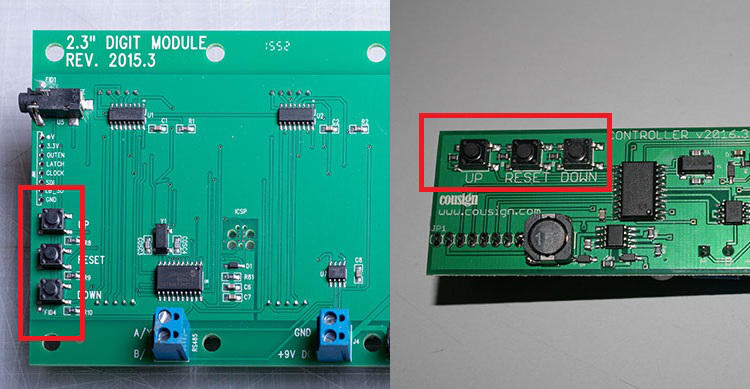 Each module on your sign is controlled using the buttons on the circuit board. This option is not available for outdoor enclosures, as the buttons will not be accessible. All modules are controlled using a remote control. This option is recommended for all signs. All modules are controlled via an Ethernet connected network controller attached to your local area network. This option requires that you have a hard wired Ethernet connection to the sign.